When people with chronic diseases cross the threshold of a massage therapist’s office, they bring with them hopes of relief. 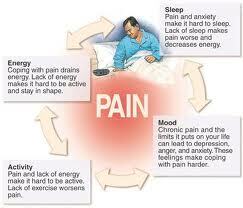 Some health issues, like fibromyalgia (FM), cause clients pain. Others, like Parkinson’s disease (PD) and multiple sclerosis (MS), match pain with life-altering disabilities. With research like that above demonstrating the effectiveness of bodywork, techniques targeted for special conditions should be basic knowledge for therapists, right? Unfortunately, the answer is no. When presented with clients who need special treatment, like Gloria, massage therapists may find themselves in uncharted waters. “Most therapists don’t really know a great deal about pathological conditions and, therefore, will be uneasy about dealing with adverse health conditions,” says Whitney Lowe, director of the Orthopedic Massage Education & Research Institute (OMERI) in Sisters, Oregon. He advises bodywork professionals to admit to clients when they don’t know much about a condition and, then, to get as much information as possible. That way, they can make more informed judgments about what type of massage interventions might be appropriate. Until training and education correspond with research and necessity, therapists will have to rely on the words and wisdom of their more experienced peers. “In school, aside from not massaging arthritic areas during a flare-up, we didn’t cover conditions,” says Christy Wilson, a licensed massage therapist with a practice in the Los Colinas area of the Dallas Metroplex. Wilson credits advanced study and years of practical experience with making her feel comfortable treating clients with significant ailments. 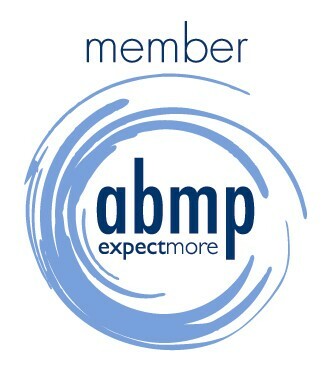 Continuing education workshops and academic and peer-reviewed periodicals like the Journal of Manipulative and Physiological Therapeutics, Journal of Bodywork and Movement Therapies, and Complementary Therapies in Medicine offer the best venues for learning about various diseases and provide cutting-edge research and a glimpse into coming trends for those in the field. Dronet, like so many others, researches medical conditions on the Internet, in books, and through health professionals. “But, when I want to know what it feels like to live with a particular condition, I turn off my computer, put the books down, skip the medical professionals, and ask the experts–those people living with that particular challenge. They usually share their stories freely and with great candor. I can’t imagine a better education than that.” Websites like DailyStrength.org and WebMD.com provide community networks for people affected by an ailment to connect and converse. Another massage recipient experienced migraines after her treatments–a common complaint that sends many newcomers scurrying in the opposite direction of what might be their salvation. To prevent these painful backlashes, Wilson recommends shortening the session time. She also blends a bioenergetic synchronization technique, myofascial release, traditional Thai sen work, and primal reflex release. Wilson recommends checking in with the client during and after the session–including the next day and a few days after that–then, for the next session, adjusting the amount of time and type of treatment accordingly. “Even if you never treat someone with limitations, having handicap-accessible offices with nearby parking will assure clients they’ll always be able to reach you,” Wilson says. “Clients in pain appreciate not having to climb stairs or walk long distances. First-floor accommodations with nonslip surfaces will lessen the chance of falls.” Extra bolsters, pillows, and adjustable tables ensure optimal experiences. Clients appreciate offers of assistance while moving on and off the table, as well as disrobing and, later, dressing. Lia Baker, a massage therapist with the Pritikin Longevity Center & Spa in Aventura, Florida, says, “We have to pay close consideration to the responses of our clients. Reactions to massage vary by individual and time. Clients might endure the slightest touch with difficulty on one day and, at another time, easily tolerate the most aggressive and invasive techniques.” Baker says that cold or heat packs relax or distract the more anxious clients, so they are more receptive to the deep, trigger-point massages. “Packs applied to tender spots bring instant relief, while those placed distant to the area being massaged divert attention,” she says. Alan M. Abromovitz, a Phoenix physician who uses massage, osteopathic manipulation, and acupuncture to treat his patients, says, “Chronic conditions require longer and more persistent treatment. Massage, moist heat, and healing oils such as olive oil and peanut oil improve local circulation and fluid mobilization. Most chronic conditions require treatment three to five times weekly for six to eight weeks initially. Ongoing maintenance ensures maximum continued benefits.” To make massage pressure and stroking most effective, Abromovitz advocates positioning the areas being treated to maximize the benefit of gravity with elevation. This technique will assist fluid return toward the heart. Some of the more immobile clients might require special treatment. “If clients cannot come to me, I am happy to go to them,” Wilson adds. Taking notes may be protocol in all cases but, when dealing with clients in health crises, these records become vital tools. Baker says her massage notes include trigger and tender points, areas of involvement, and observations of progress. “I maintain records on all clients,” Wilson says. Whether done on loose-leaf paper or on sophisticated computer programs, whether elaborate and detailed or brief and focused, Wilson says she has found her comments essential components for success. Jacobs encourages therapists to maintain contact with clients’ doctors for two reasons. “First, the client’s quality of care improves,” Jacobs says. All healthcare providers should be aware of treatments their patients receive, he adds. Better understanding leads to better care. Open communication sidesteps conflicting treatments, while conventional or alternative treatments can be adjusted for best possible outcomes. Second, Jacobs believes doctors need exposure to bodywork and bodywork therapists. So, the more contact, the better–whether by phone call or letter. Summaries of the client’s progress or, lack thereof, keep massage therapy in the forefront of the physician’s mind. Beyond the physical problems, clients bring their willingness or resistance for accepting help to the table with them, Abromovitz says. Both clients and therapists cite cost as a major–and often, only–deterrent. Even though they’re a population that could most use bodywork, people with physical problems generally have more fiscal constraints. “After paying for medications, treatments, and physician fees, people with chronic medical concerns find themselves unable to afford massages, even though bodywork greatly improves their quality of life,” Dronet says. She often works with medical clients to try to accommodate their financial needs. And she’s attempting to partner with a nonprofit organization to bring in grants for those in need. Physical therapists may think of bodywork as strengthening exercises and balance training, chiropractors may consider it relaxation prior to spinal adjustment, and physicians may refer to it as a spa day, Abromovitz says. Clearly, the medical professions underappreciate the benefits of attaining and maintaining maximum skeletal and muscular function. “In my opinion and experience, bodywork is as essential to health and well-being as diet, exercise, love, compassion, forgiveness, and gratitude,” Abromovitz says. Now, how many occupations can claim similar perks? By Diane M. Marty a Colorado-based freelance writer who specializes in holistic health topics. 1. Kieren Faull, “A Pilot Study Of The Comparative Effectiveness Of Two Water-Based Treatments For Fibromyalgia Syndrome: Watsu And Aix Massage,” Journal of Bodywork and Movement Therapies, 9: 202-10. When thirteen females diagnosed with FM completed watsu treatments, researchers noted significant changes in bodily pains, vitality levels, and physical and social functions. 2. In another study published in the Journal of Clinical Rheumatology a month of biweekly massages improved sleep patterns and decreased pain, fatigue, anxiety, depression, and cortisol levels in people with fibromyalgia. T. Field, M. Diego, C. Cullen, M. Hernandez-Reif, and W. Sunshine, “Fibromyalgia Pain and Substance P Decrease and Sleep Improves After Massage Therapy,” Journal of Clinical Rheumatology, 8, no. 2 (April 2002): 72-6. 3. At the Touch Research Institute in Miami, sixteen adults diagnosed with PD received either thirty minutes of massage therapy or progressive muscle relaxation exercise sessions twice a week for five weeks. Massage participants improved in their ability to complete daily living activities. They also rated themselves as having better sleep and had lower stress hormone levels. M. Hernandez-Reif, T. Field, S. Largie, C. Cullen, J. Beutler, C. Sanders, W. Weiner, D. Rodriguez-Bateman, L. Zelaya, S. Schanberg, and C. Kuhn, “Parkinson’s Disease Symptoms Are Reduced By Massage Therapy And Progressive Muscle Exercises,” Journal of Bodywork and Movement Therapies, 6: 177-182. 4.Researchers at the Montreal Neurological Institute in Montreal, Quebec, noted that after Trager therapy on their most rigid arms, patients with Parkinson’s disease (PD) experienced a 36 percent reduction in involuntary movements immediately following treatment. The study strongly suggests that Trager therapy may reduce muscle rigidity and eventually lead to the development hybrid therapies for PD. C. Duval, D. Lafontaine, J. Hbert, A. Leroux, M. Panisset, and J. P. Boucher, “The Effect Of Trager Therapy On The Level Of Evoked Stretch Responses In Patients With Parkinson’s Disease And Rigidity,” Journal of Manipulative and Physiological Therapeutics, 25, no. 7 (Sept 2002): 455-64. 5. Weekly one-hour therapeutic massage treatments conducted over a sixteen-week period at the Sutherland-Chan School of Massage Therapy in Toronto, Canada, indicate that massage therapy increases the effectiveness of clients with MS, potentially resulting in an improvement in their emotional state. This outcome dissipated with time, suggesting that the positive changes require on-going treatments. Paul Finch and Pauline Becker, “Changes In The Self-Efficacy Of Multiple Sclerosis Clients Following Massage Therapy,” Journal of Bodywork and Movement Therapies, 11, no. 3 (July 2007): 267-72. Gallery | This entry was posted in Energy Medicine, Holistic Healing, Massage, Our Center, Therapeutic Massage and tagged Alternative medicine, Conditions and Diseases, Health, pain, The Power to Heal. Bookmark the permalink.